The elevation profile shows your the line of sight between your customers and your network towers. This tool helps you determine how you can best service new clients. How to create and configure taxes in Powercode. Web User Time Sheets – Added tracking system to track amount of time a Web User is active in Powercode. Also added additional reports for users time logs. Fixed table staying on an old page when returning to Customer Event Logs. Fixed validation with Account Classes to fix saving empty class names. Fixed broken link to customer account when making payments. Fixed refund / make credit form from submitting multiple times. Fixed issue that would sometimes cause network site jobs to not submit. Fixed issue where SMs reboot every time a contract is queued while the Canopy Speed Updater is on. Fixed some old files from not appearing on Customer Files or Network Sites. Fixed Migrating Users from one Address Range to an Address Range with insufficient free IPs. Added collection of missing information from TowerCoverage. Added validation to prevent invalid Latitude and Longitude from being saved. Prevented all Canopy SMs from rebooting when turning the Canopy Speed Updater on. Updated wording to reflect exactly what it shows on Canopy SMs. Modify and create email templates that Powercode uses to automatically communicate both with customers and employees. Charges and credits are categorized in Powercode using Account Classes. Users can customize these categories by creating sub account classes to personalize the organization of your accounting within Powercode. New list of important update patch-notes. These notes will display when scheduling your Powercode upgrade. Fixed Network Site link to point towards Site Overview. Fixed IP address display for Customer Equipment by Status. Fixed a case where billing settings would not save consistently. Fixed Customer Portal Revoked Access styling. Fixed Customer Portal username and password fields being disabled if the contact has revoked access. Fixed Custom Report to run start date at the beginning of day and end date at the end of day. Fixed loading and saving of Contact Details in Customer Portal. Fixed password generation for Device Configuration Template. Fixed Scheduled Event date picker to not allow picking dates today and before. Fixed Equipment Log table not sorting / filtering in Equipment Details. Fixed several display errors with Calendar Sync on mobile. Fixed emails and invoices sometimes not showing appropriate number count for Account ID. Fixed Completed Jobs Report from only displaying partial completion data. Fixed uncaught validation exception for generating receipts for customers. Fixed orphaned credit card type when archiving customers. Fixed Data Usage Report to properly show IP Addresses. Fixed BMU Firmware Version from incorrectly warning that it is out of date. Fixed custom variables for Contracts. Fixed social security field being required if security code is required. Added ability to override price when adding a One-Time Charge. Added upload date to customer and network site files. Removed deprecated filters from various search forms. Removed suppressed equipment from showing on the Complete Network Map. 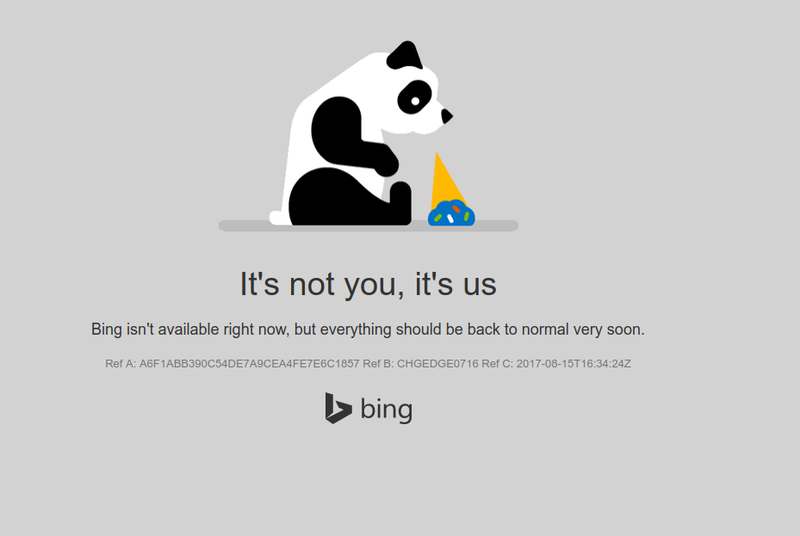 Bing maps is having a confirmed outage for some users starting around 11AM CST. Powercode uses Bing Maps as a provider for map related functionality. Your software will be affected until Bing Maps is restored. We are monitoring the outage and will update here. Update: As of 12:08PM CST, it looks like most Powercode users that were having an issue have seen a resolution. Setting up overages on the customers bill. A look at what the BMU offers when it comes to late payments or pending contracts.